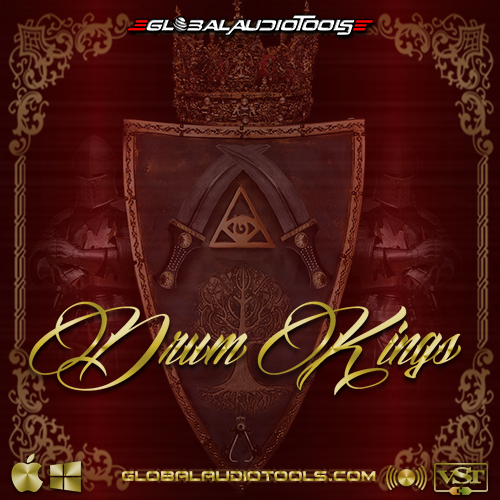 Drum Kings by Global Audio Tools is a Virtual Instrument Audio Plugin. It functions as a VST Plugin, an Audio Units Plugin and a VST 3 Plugin. 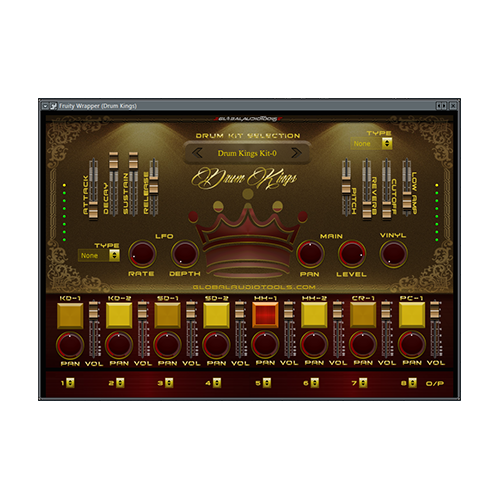 Global Audio Tools presents music makers across the globe with one of our first VST plug-ins that we like to call "Drum Kings". 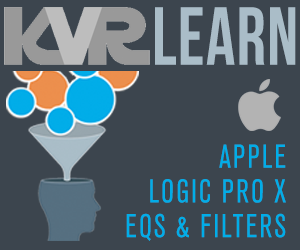 This VST is jam packed with over an array of 350 hard hitting drums that will spark creative inspiration time and time again. With all genres kept in mind this drum plug-in can be used for a variety of styles of music from modern trap, to EDM, soul and much more. We've included some parameters that can help you define your sound with individual volume levels and panning for each drum sound. We have also included some essential effects for the overall drum kit you select which range from an analog style reverb, filter, vinyl effect, ADSR envelopes, and more. We have also included 51 different drum kits to choose from that can be selected using the onboard menu selection. You can hit 2 keys at once to stack kicks and snares for big sounding drums, as well as make catchy hi hat grooves as the drums are velocity sensitive. For more info you can download the demo to try out Drum Kings and make sure its compatible with your system. You can also watch our sound demonstration video as well to gain a better understanding as to what types of drum sounds are in Drum Kings. 400 One Shot Drum Sounds. 30 MIDI Drum Groove Files. Not Compatible With Pro Tools.